Emunah head questions why complainant waited 15 years to lodge complaint - at the same time as presidential candidacy announced. Liora Minka, who heads the religious-Zionist women's group Emunah, penned an article Tuesday in Yisrael Hayom in which she opined that the complaint about alleged sexual harassment filed against Minister Silvan Shalom is a manipulative one. False accusations are a double edged sword, she warned, and allowing anonymous rumors to destroy people could ultimately hurt women. 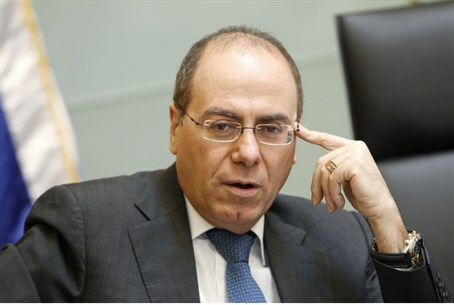 The accusations against Minister Silvan Shalom were published in an apparently coordinated fashion by members of the Female Reporters Cell, a group that was founded by a journalist with strong ties to the radical New Israel Fund. They were made public just as Shalom was about to announce his candidacy for the office of President. It is rare for leaders within Israel's women's movement to come out unequivocally against the unfettered use of sexual complaints, and Minka's article may be a sign of growing dissent within the ranks of the movement, against the ideological leadership of radical organizations sponsored by the New Israel Fund, and toward greater independence of the religious women's groups.